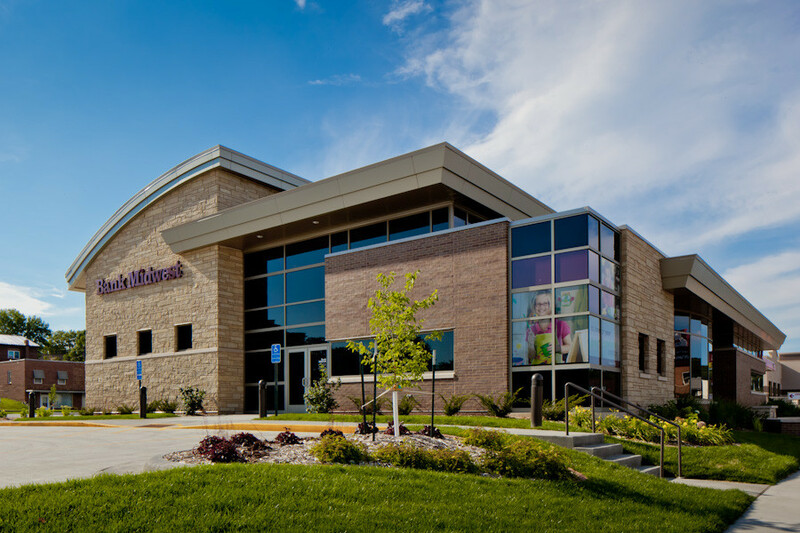 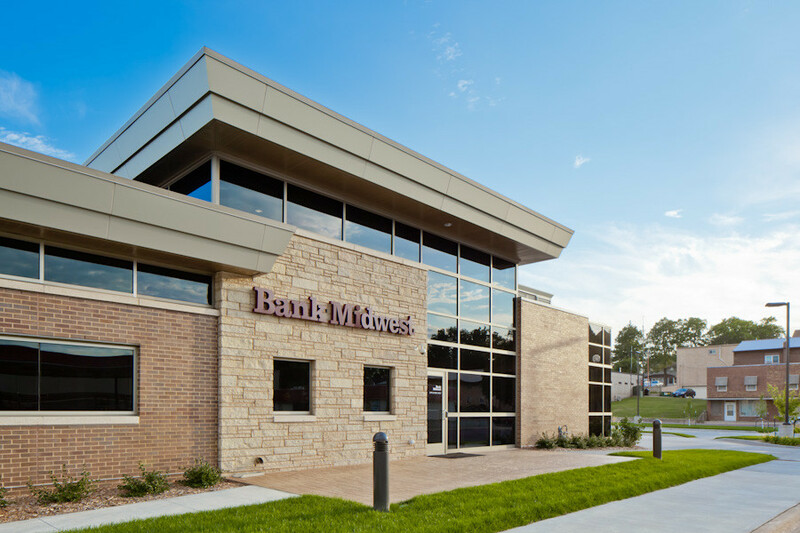 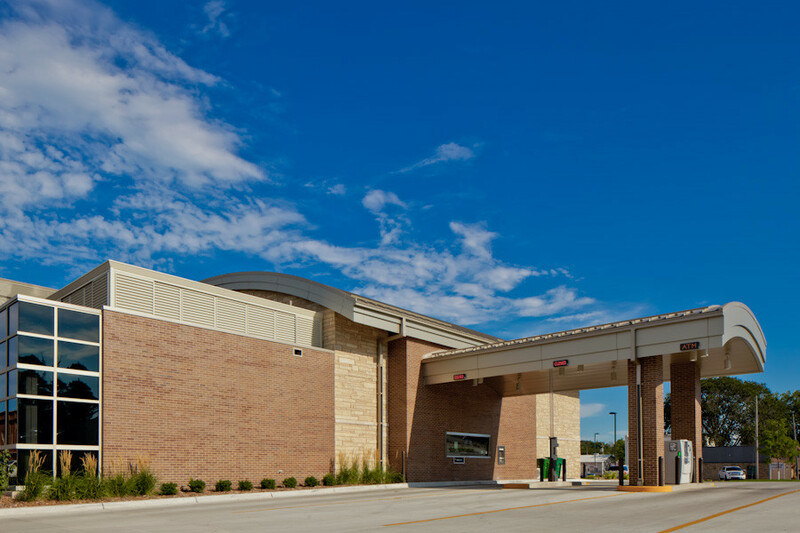 In keeping with the designer’s plan to enhance the overall visual impact of the structure, Biesanz MDL was chosen to create a striking facade throughout the exterior at Bank Midwest in Jackson, MN. 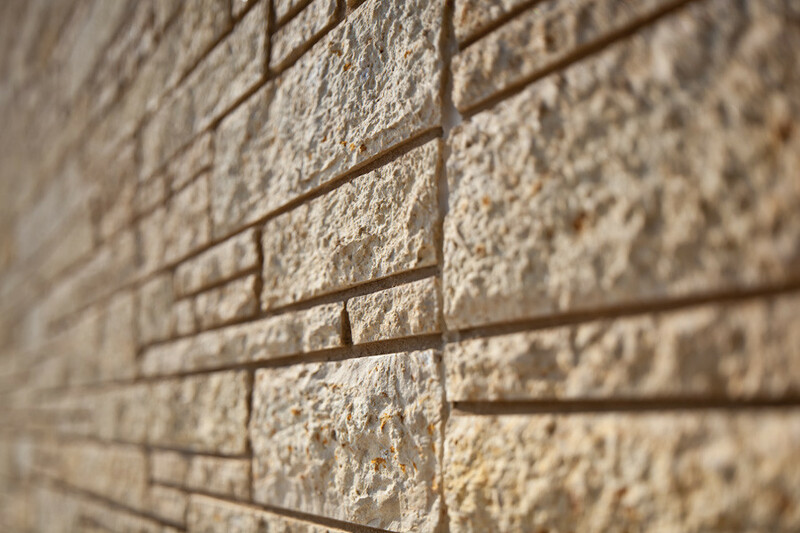 The building features 2,200-square-feet of split face MDL veneer in a random ashlar pattern at a 4″ sawn bed depth, 40 linear feet of window sills, 200 linear feet of stone accent banding, and 45 linear feet of radius sills around the curved wall. 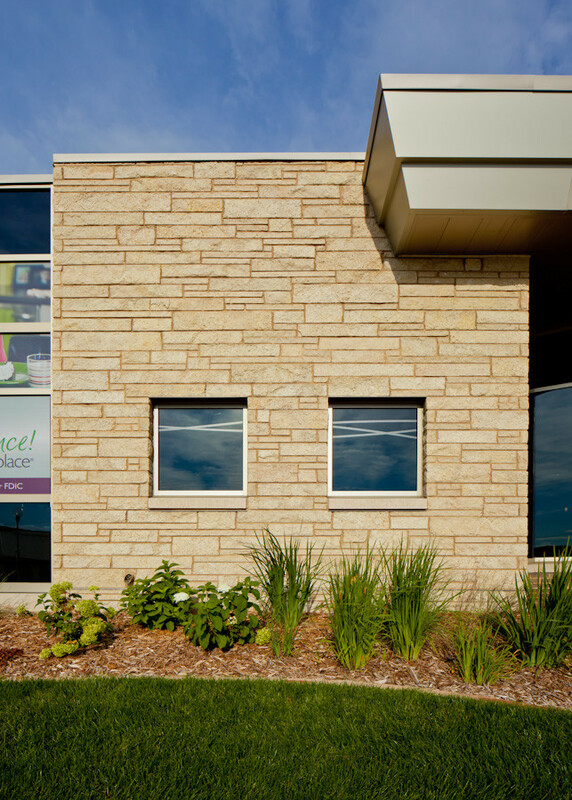 MDL also complemented the warm color palette the designer was looking to incorporate throughout the building. 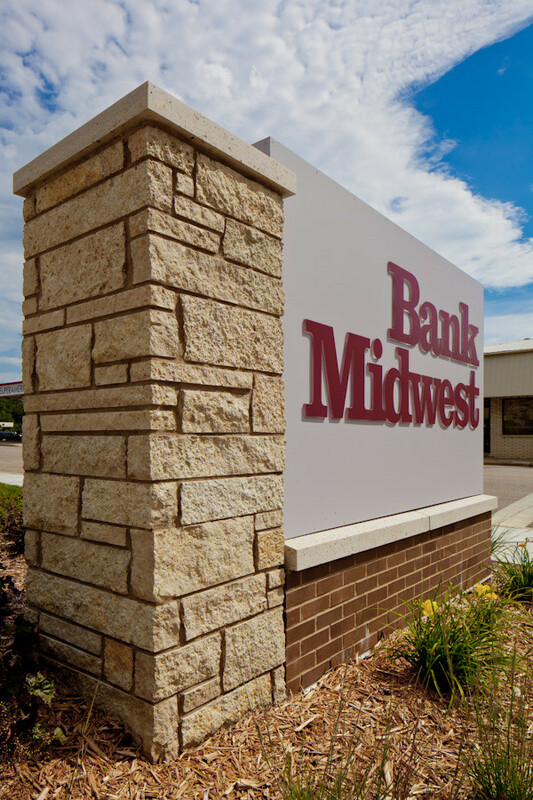 Available in a variety of colors including light cream to buff, light grey to bone, and light gold to yellow, MDL provides professionals with a variety of color options for their design needs. 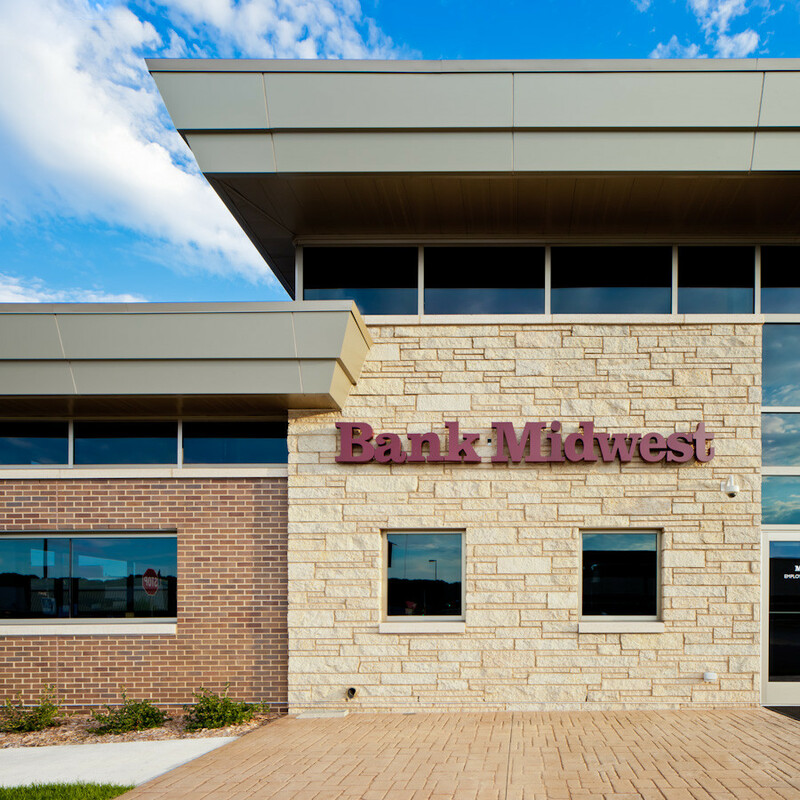 Not only does MDL provide Bank Midwest with remarkable beauty, it also provides excellent durability. 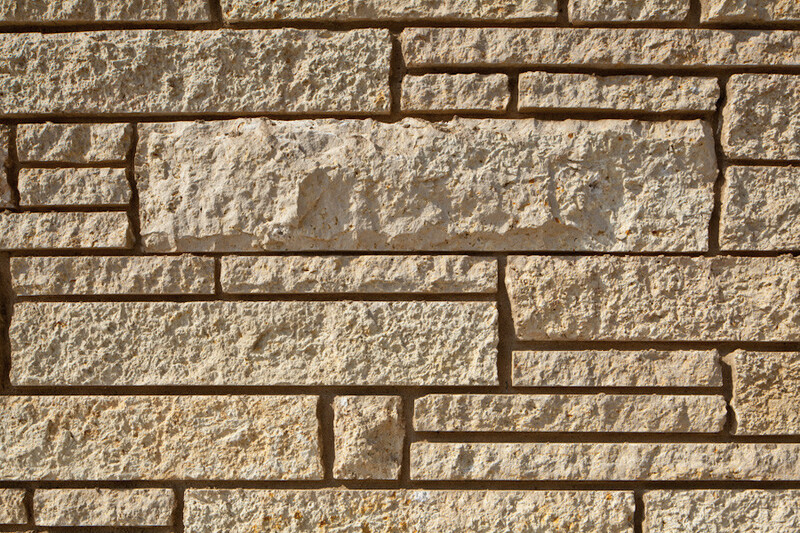 MDL is exceptionally hard and classifies as a Class III marble, ensuring that it will perform well for many years to come.